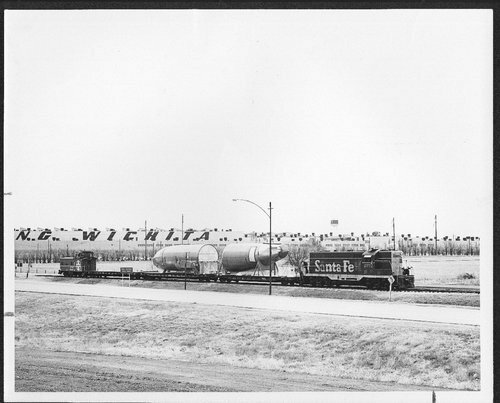 The photograph shows portions of the first Boeing 737 leaving the factory in Wichita, Kansas, enroute to Renton, Washington, for final assembly there. It is being transported behind Atchison Topeka & Santa Fe engine 2772. Portions of first Boeing 737 airplane to leave the factory in Wichita, Kansas.